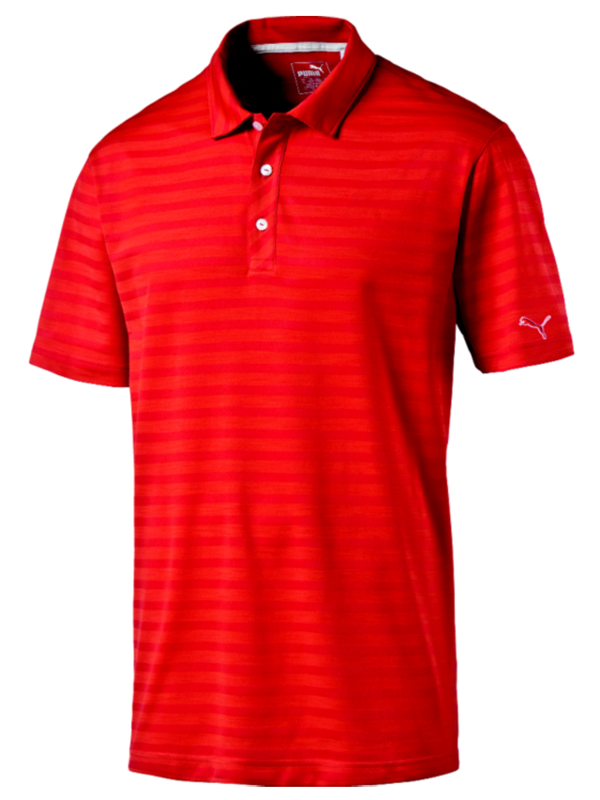 Puma's Swoop polo comes in a three color design to keep you stylish and comfortable on the golf course. UV resistant finish with UPF rating of 40+. 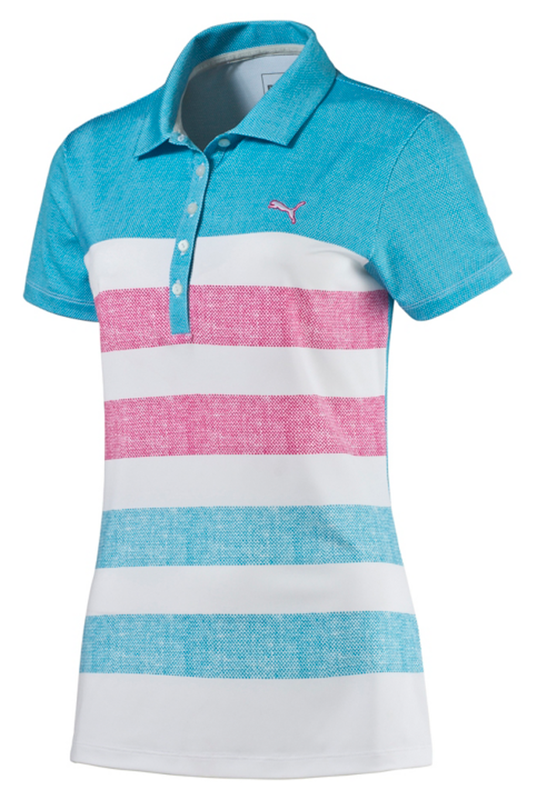 PUMA designed the women's color block fade golf polo with PWRCOOL's inner print technology. PWRCOOL activates with moisture to help keep you cool, and Puma's dryCELL tech wicks away sweat on even the hottest days on the golf course. UV resistant finish with UPF rating of 50+. Puma's Mixed Stripe men's polo golf shirt is made of soft, lightweight polyester and nylon blend with a wick-away finish for optimum dryness and comfort. Embroidered PUMA Cat Logo at left chest. 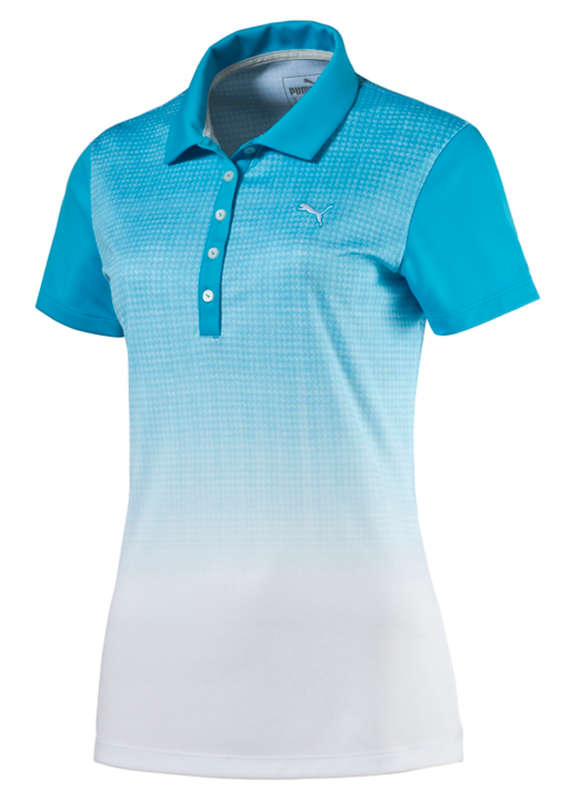 Puma's Ladies lightweight polo, designed with UV protection and moisture-wicking materials to keep you cool. 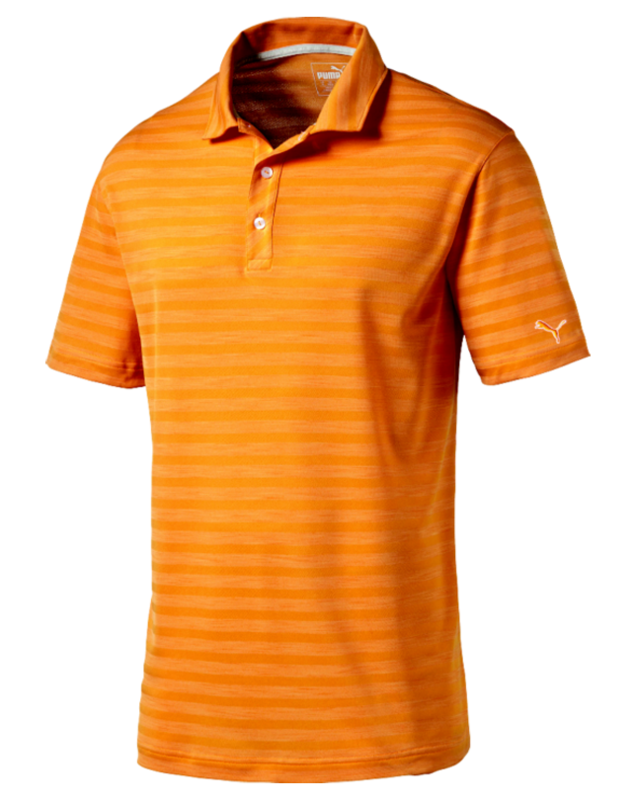 Puma's Grid Fade Polo golf shirts are made with 92% Polyester and 8% elastane and have a three-button placket. 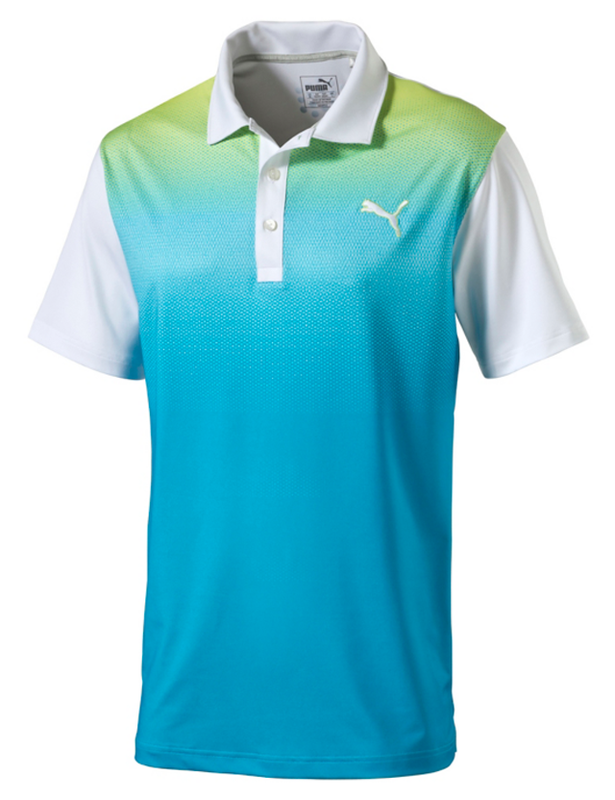 Puma's dryCELL technology wicks away moisture to keep you cool on the course. Sublimation print at front panel. 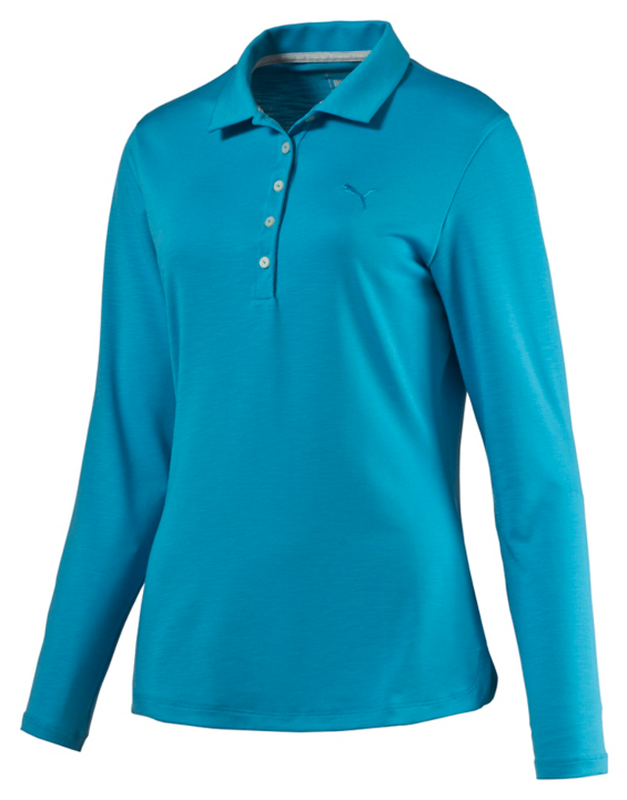 Puma's long sleeve women's golf polo comes with moisture-wicking technology, UV resistant finish, and flattering scooped hem. Puma's mixed stripe men's polo shirt features soft, lightweight construction and a wick-away finish for maximum dryness and comfort. The friction-free construction makes sure this comfortable polo never interferes with your swing. 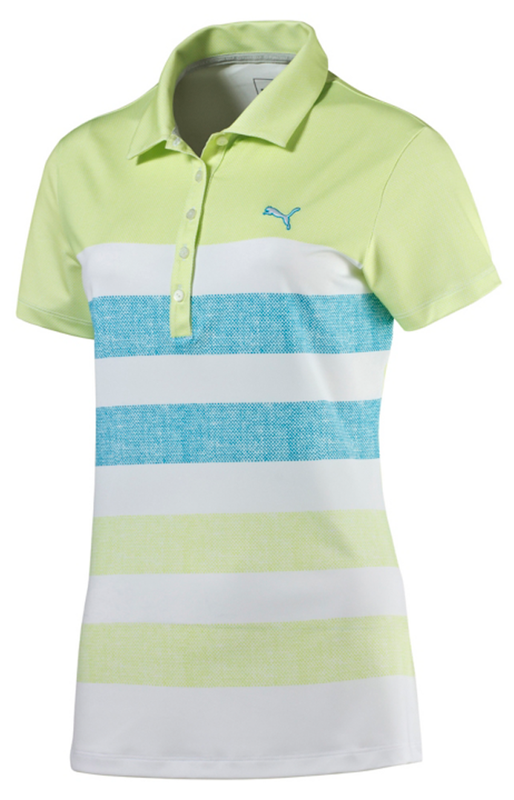 This Puma Ladies Roadmap Texture Golf Polo is one of Puma's best selling golf shirts for women. Puma has a long tradition of creating women's golf clothing with vibrant, bright colors mixed with fun patterns, playful cuts, and classic, yet fashionable designs. 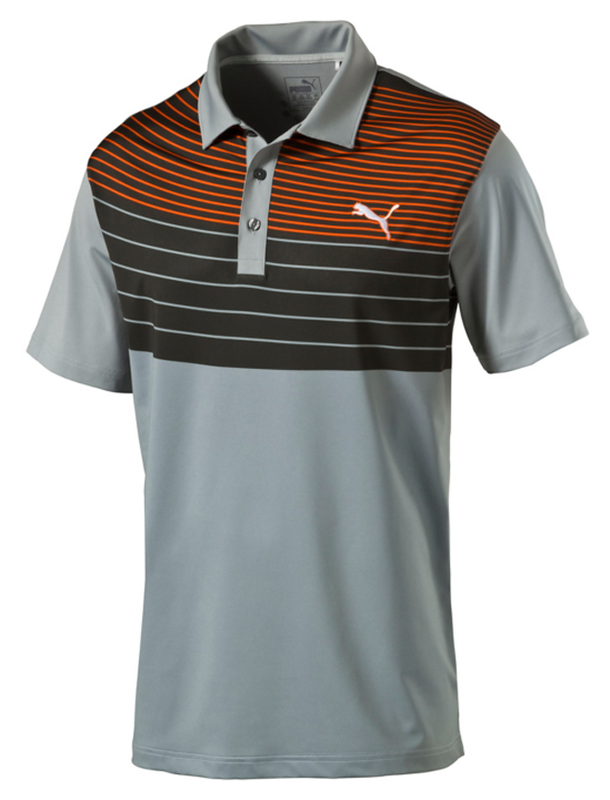 Puma's mens vent golf polo is made for comfort. 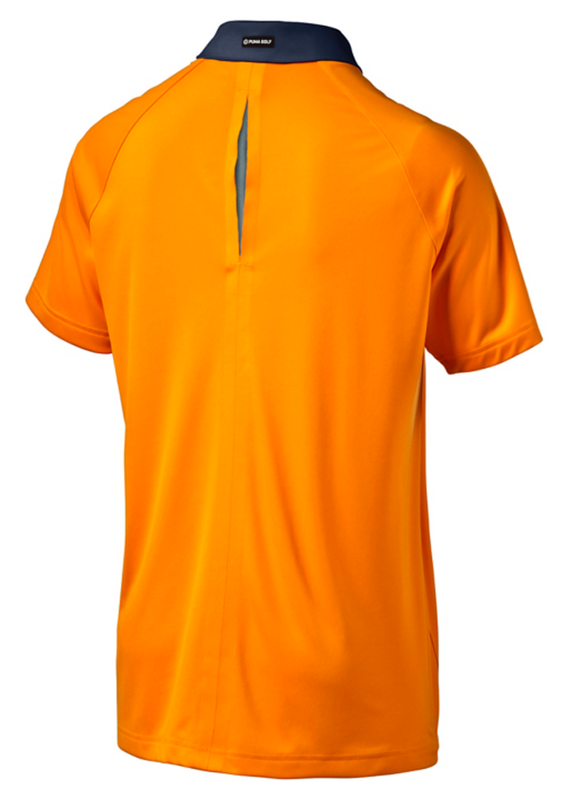 This golf polo features mesh paneling and raglan sleeve construction so it's easy to toss in your bag for a quick nine holes or a session at the driving range. Solid interlock body fabric features PUMA active-response yarn powered by COOLMAX Extreme. PUMA Cat Logo at left chest and 18 Hole Logo at back neck. 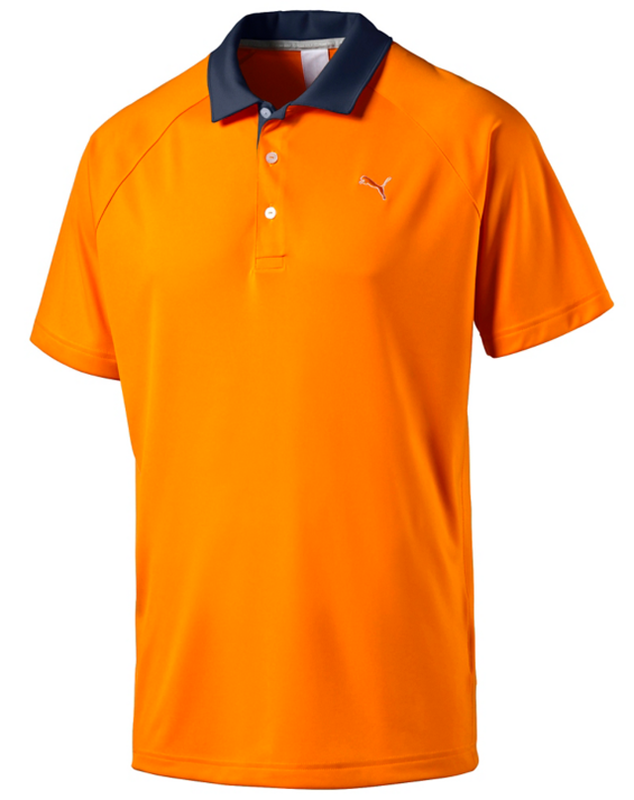 PUMA’s golf polo shirts can be seen on pros like Rickie Fowler, Lexi Thompson, Will MacKenzie, and Blair O'Neal. Puma designs all their apparel to keep you comfortable and dry on the golf course. Each golf shirt, polo, and ladies top includes moisture-wicking fabrics, coolCELL mesh panels, strategically placed shoulder seams, and built-in sun protection and odor control. North Iowa Golf either stocks or will order Puma Golf Shirts, Polos, and Tops in all popular designs. Stop by North Iowa Golf and check out our huge selection or Call for Pricing today!